Estefy was born in Dominican Republic where he studied music. After finishing his studies, he moved to Spain and this is where the magic happened. He coupled with Gaby, a ballet dancer with experience in traditional Spanish dances such as flamenco. They united their salsa skills gained up till that point and managed to create a unique style, securing them 1st places in many championships in Europe. 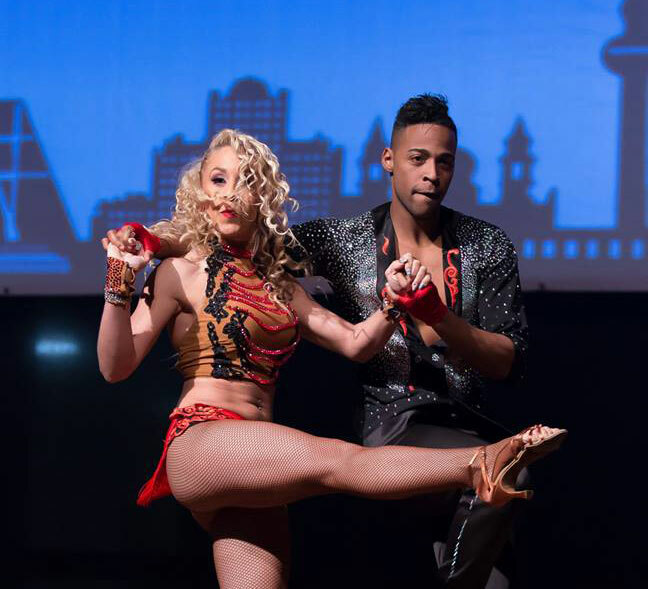 They are very welcomed as instructors at many festivals as bachata and salsa instructors, dancing primarily on2 salsa with acrobatic elements.